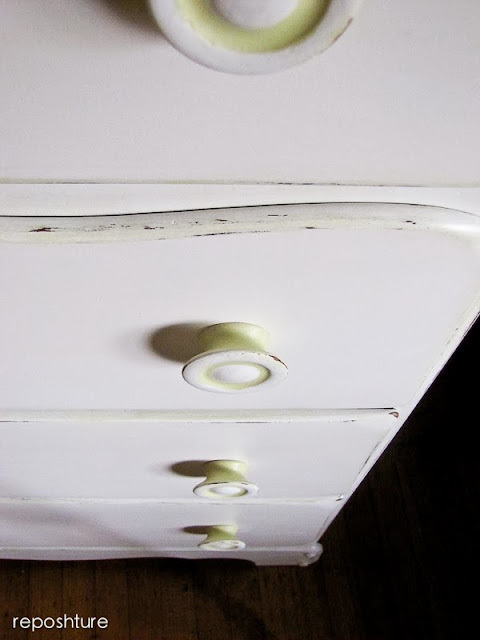 So many times people ask me how to unify furniture through paint. Well, really only two people have asked me but I figure you all were just too shy to speak up. So I am givin' you the lowdown on something you never knew you needed to know! I am a quite generous when I want to be! I have always believed that paint makes everything look better. But I do have two schools of thought on unifying furniture through paint. And it definitely depends on the person and the color of paint. Sometimes matching the paint is the way to go as in this example where I took two completely different styles of furniture for a client but painted them the same way. You just have to look for similarities in the furniture and the matchy-matchy idea works better as the choice. 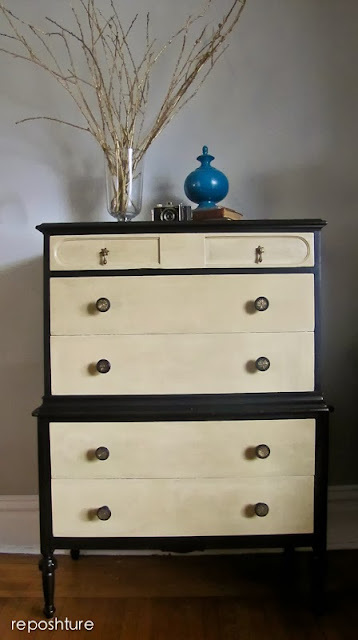 Both pieces had several drawers and a shell that could be painted black so they looked similar. Adding the same hardware in the same configuration also pulls it together. Sometimes color dictates that you unify in a way that is not match-matchy. Take my desk turned baby changing table for example. This green is great on a single piece of furniture. But another piece might be way too much apple green, and you know I loves me some color. But sometimes restraint is the name of the game. So how do you unify then? Keep the pop of color as an undercurrent on your new piece! 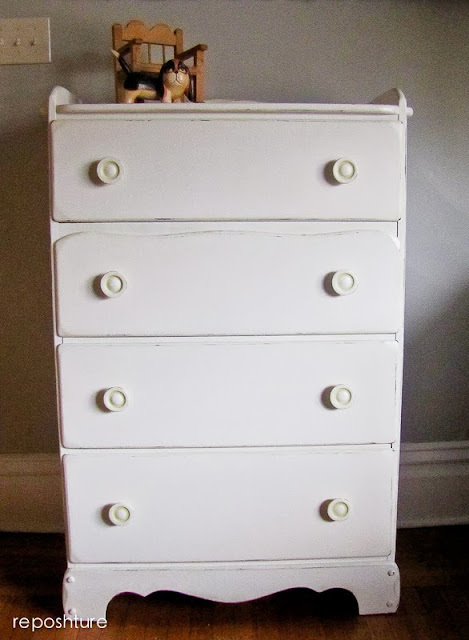 Yes this baby dresser is going in the same room as the baby changing table but we painted it white. Underneath it is painted the green and through distressing you can see the green poke through along all of the edges in a subtle way. 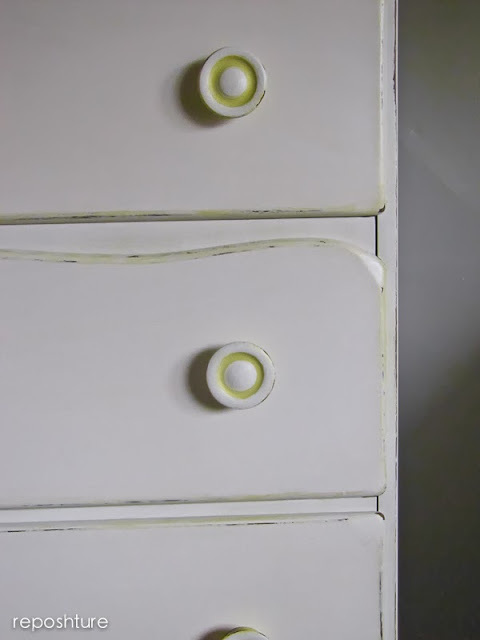 Another clever trick I used is that I painted the backs of the knobs the green and kept a ring of green in the middle of the knob as well. 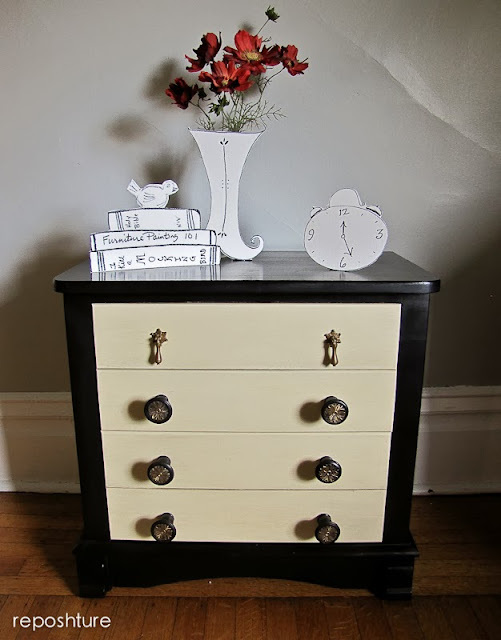 Now these two very different pieces are cohesive just by borrowing some of the pop of color from the changing table and layering it underneath for the dresser. Now if we could just get congress to unify, we'd be set and outta debt! Great ideas...thank you! I'm currently working on a dresser and table for our loft and was struggling how to not make them too matchy. 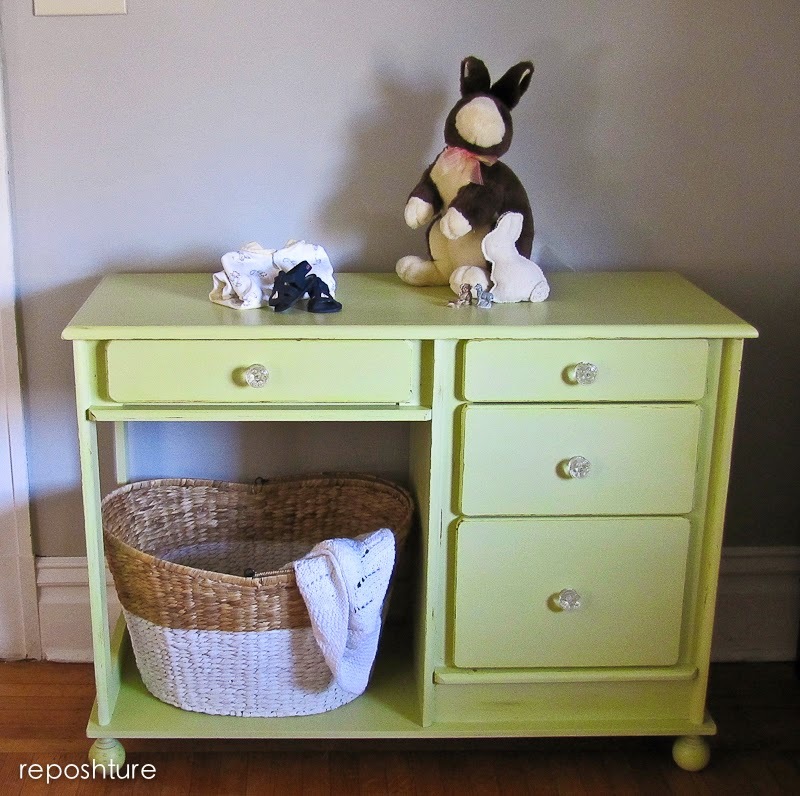 I love what you did with the white dresser and green pops of color. Thanks for the inspiration! Lovely tips! Adoring how you tied the second two together! You are hitting it out of the park! Those are great jobs!